The geopolitical tensions, military deployments and strident rhetoric point to the risk of preemptive moves and miscalculations sparking an accidental confrontation. We need only to recall how a spiral of actions and counter-actions led to World War I a hundred years ago. Russian President Vladimir Putin’s action in annexing Crimea violated Ukraine’s territorial integrity in breach of international law, even though it followed a referendum in this historically Russian region, where the majority of residents are indisputably with Russia. Let us, however, not forget that the U.S. and NATO have flagrantly and repeatedly contravened international law in the past 15 years. It’s a long list — the bombing of Serbia, the separation of Kosovo from Serbia, the invasions of Afghanistan and Iraq without U.N. Security Council mandate, the overthrow of Moammar Gahdafi’s regime through aerial bombardment, the aiding of a still-raging bloody insurrection in Syria, and renditions and torture of terror suspects. The U.S. National Security Agency’s mass surveillance program also disregards international law. An international system based on the rule of law cannot be good unless norms and rules are respected on all sides. Yet power often trumps international law. Neither the U.S. nor Russia respects international borders. America, for example, invoked its Monroe Doctrine to intervene, among others, in Panama, Chile, Cuba, Nicaragua, Grenada, the Dominican Republic and Venezuela. International law tends to take a back seat when a major power asserts a right to protect vital security interests. Indeed, when a great power needs a threat to justify its intervention in another state, it invariably finds one. There is thus a long political history of world powers quoting international law to others but ignoring it when it comes in their way. The Ukraine case illustrates the international law of convenience. 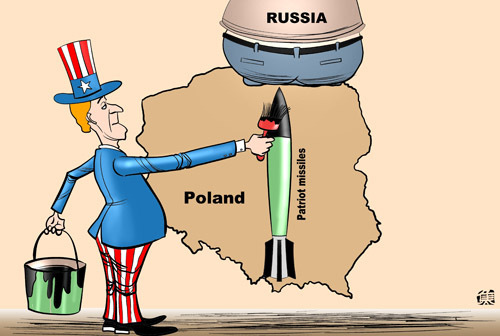 Yet it is difficult to see how Russian, American or European interests can be advanced by the ominous face-off over Ukraine, which has helped shift the international spotlight from Asia’s festering fault lines and territorial feuds to the new threat to European peace. The showdown, unless defused, is likely to spur significant shifts in geopolitical equations and policies. For example, the latest developments leave less space for the U.S. to pivot toward Asia but compel Moscow to embark on its own pivot to Asia, particularly China, to promote energy outflows and capital inflows. With both Obama and Putin actively seeking to woo China on Ukraine, the likely big winner from the turn of events is the country that has been relentlessly expanding its borders ever since it came under communist rule in 1949. China’s geopolitical gains will solidify if the U.S. jettisons — as appears likely — its post-Cold War policy of seeking to influence Russia’s conduct through engagement and integration into global institutions. The U.S. is closing the door to Russian accession to the Organization for Economic Cooperation and Development and effectively ousting Russia from the Group of Eight by making it the Group of Seven again — an action that can only accelerate that institution’s creeping irrelevance in international relations. The demonization of Putin is ironic, given that the Russian leader pursued a pro-Western policy in the initial years after he came to power. For example, he closed down Russian military bases in Cuba and Cam Ranh Bay, Vietnam, and voluntarily supported America’s Afghanistan invasion. Only after his extended overtures went unreciprocated — with the U.S. instigating “color revolutions” in some ex-Soviet states and expanding NATO to the Baltics and the Balkans — did Putin adopt a more nationalistic course. Yet the new U.S. sanctions approach is premised on a need to check Putin’s capacity to utilize state instruments like military power and energy leverage to block states in Russia’s periphery from moving closer to the West. America is likely to bolster such frontline states, including by transferring military hardware, training and integrating their forces, and placing U.S. systems on their soil. NATO countries are already being urged to cut their reliance on Russian energy supplies. Obama seems determined to use the tool of sanctions to subtly undermine the Russian economy, including by targeting key businessmen, entities and sectors in Russia and by encouraging a flight of capital and talent from Russia. There is also a push to bar Western firms from aiding Russia’s military modernization in any way. This punitive approach, however, would not preclude Washington from cooperating with Moscow on issues where bilateral interests overlap. After all, such cooperation occurred even during the height of the Cold War, as in establishing the Nuclear Nonproliferation Treaty. Still, seeking to economically squeeze Russia and isolate it internationally would mean a strategic boon for China, just as the Soviet Union’s sudden collapse opened the way for Beijing to rapidly increase its geopolitical space globally. Beijing will work to exploit Western sanctions against Russia for its own benefit, including securing Russian energy on favorable terms and gaining greater access to the Russian market for its goods. America’s only genuine long-term rival now is an ascendant China, which is rapidly accumulating economic and military heft. By contrast, Russian military power today pales in comparison with Soviet might, with Obama admitting Russia is not America’s top geopolitical rival. If a new cold war is to be averted, Ukraine’s neutrality must be guaranteed. Ukraine should remain neutral between NATO and Russia — a sort of a strategic, sovereign buffer, just as Tibet was before China gobbled it up. Such a diplomatic solution, while ensuring European peace, would also contribute to Asian and international security. Otherwise, a full-blown ideological war will generate a wide geopolitical fallout, stoking greater tensions and increasing risks of miscalculation. (c) The Japan Times, 2014.